The Biedermeier period refers to an era in Central Europe between 1815 and 1848, during which the middle class grew in number, and arts appealed to common sensibilities. It began with the time of the Congress of Vienna at the end of the Napoleonic Wars and ended with the onset of the European Revolutions of 1848. Although the term itself is a historical reference, it is used mostly to denote the artistic styles that flourished in the fields of literature, music, the visual arts and interior design. It had strong roots in Vienna where it will linger for long time, and subsequently influence styles and periods to come. The Biedermeier period does not refer to the era as a whole, but to a particular mood and set of trends that grew out of the unique underpinnings of the time in Central Europe. There were two driving forces for the development of the period. One was the growing urbanization and industrialization leading to a new urban middle class, which created a new kind of audience for the arts. 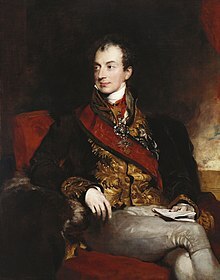 The other was the political stability prevalent under Klemens Wenzel von Metternich following the end of the Napoleonic Wars. The effect was for artists and society in general to concentrate on the domestic and (at least in public) the non-political. Writers, painters, and musicians began to stay in safer territory, and the emphasis on home life for the growing middle-class meant a blossoming of furniture design and interior decorating. The term "Biedermeier" appeared first in literary circles in the form of a pseudonym, Gottlieb Biedermaier, used by the country doctor Adolf Kussmaul and lawyer Ludwig Eichrodt in poems that the duo had published in the Munich journal Fliegende Blätter. The verses parodied the people of the era, namely Samuel Friedrich Sauter, a primary teacher and sort of amateurish poet, as depoliticized and petit-bourgeois. The name was constructed from the titles of two poems—"Biedermanns Abendgemütlichkeit" (Biedermann's Evening Comfort) and "Bummelmaiers Klage" (Bummelmaier's Complaint)—which Joseph Victor von Scheffel had published in 1848 in the same magazine. As a label for the epoch, the term has been used since around 1900. Typical Biedermeier poets are Annette von Droste-Hülshoff, Adelbert von Chamisso, Friedrich Halm, Eduard Mörike, and Wilhelm Müller, the last two of whom have well-known musical settings by Hugo Wolf and Franz Schubert respectively. Adalbert Stifter is a novelist and short story writer whose work also reflects the concerns of the Biedermeier movement, particularly with his novel, Der Nachsommer. As historian Carl Schorske puts it, "To illustrate and propagate his concept of Bildung, compounded of Benedictine world piety, German humanism, and Biedermeier conventionality, Stifter gave to the world his novel Der Nachsommer". Biedermeier was an influential German style of furniture design that evolved during the years 1815–1848. The period extended into Scandinavia, as disruptions due to numerous states that made up the German nation were not unified by rule from Berlin until 1871. [clarification needed]These post-Biedermeier struggles, influenced by historicism, created their own styles. Throughout the period, emphasis was kept upon clean lines and minimal ornamentation consistent with Biedermeier's basis in utilitarian principles. As the period progressed, however, the style moved from the early rebellion against Romantic-era fussiness to increasingly ornate commissions by a rising middle class, eager to show their newfound wealth. The idea of clean lines and utilitarian postures would resurface in the 20th century, continuing into the present day. Middle- to late-Biedermeier furniture design represents a heralding towards historicism and revival eras long sought for. Social forces originating in France would change the artisan-patron system that achieved this period of design, first in the Germanic states and, then, into Scandinavia. The middle class growth originated in the English industrial revolution and many Biedermeier designs owe their simplicity to Georgian lines of the 19th century, as the proliferation of design publications reached the loose Germanic states and the Austro-Hungarian empire. The Biedermeier style was a simplified interpretation of the influential French Empire Style of Napoleon I, which introduced the romance of ancient Roman Empire styles, adapting these to modern early 19th-century households. Biedermeier furniture used locally available materials such as cherry, ash and oak woods rather than the expensive timbers such as fully imported mahogany. Whilst this timber was available near trading ports such as Antwerp, Hamburg and Stockholm, it was taxed heavily whenever it passed through another principality. This made mahogany very expensive to use and much local cherry and pearwood was stained to imitate the more expensive timbers. Stylistically, the furniture was simple and elegant, according to some critics it may even represent early form of abstract sculpture. Many unique designs were created in Vienna, primarily because a young apprentice was examined on his use of material, construction, originality of design, and quality of cabinet work, before being admitted to the league of approved master cabinetmakers. Furniture from the earlier period (1815–1830) was the most severe and neoclassical in inspiration. It also supplied the most fantastic forms which the second half of the period (1830–1848) lacked, being influenced by the many style publications from England. Biedermeier furniture was the first style in the world that emanated from the growing middle class. It preceded Victoriana and influenced mainly Germanic-speaking countries. In Sweden, Marshal Bernadotte, whom Napoleon appointed as ambassador to Sweden to sideline his ambitions, abandoned his support for Napoleon in a shrewd political move. Later, after being adopted by the king of Sweden (who was childless), he became Sweden's new king Karl Johan. The Swedish Karl Johan style, similar to Biedermeier, retained its elegant and blatantly Napoleonic style throughout the 19th century. Biedermeier architecture reveals shift away from romanticism back to classicism yet with greater focus placed on realism, essentially it is a variant of classicism. Historically, Biedermeier relates to Empire style in France and Regency style in England while being simpler than its counterparts. With an increase in urbanization during this time, there was quite a bit architectural construction in early years of nineteenth century in Europe. Style is characterized by the monumental buildings of this time, the Biedermeier ultimately catered to newly minted middle class and haute bourgeoise. Joseph Kornhäusel was notable architect of the style, leaving his mark in Vienna and its surroundings. Through the unity of simplicity and functionality the Biedermeier Neoclassical architecture created tendencies of crucial influence for the Vienna Secession—Art Nouveau, Bauhaus, and the 20th-century architecture. Key painters of the Biedermeier movement are Carl Spitzweg (1808–1885), Ferdinand Georg Waldmüller (1793 Wien – 1865), Josip Tominc (Gorizia 1780–1866), Friedrich von Amerling (1803 Wien – 1887), Friedrich Gauermann (1807 Miesenbach, Niederösterreich – 1862), Johann Baptist Reiter (1813 Linz – 1890), Peter Fendi (1796 Wien – 1842), Michael Neder [de] (1807 Wien – 1882), Josef Danhauser (1805 Wien – 1845), Edmund Wodick (1806 Markt Alvensleben – 1886) among others. The biggest collection of Viennese Biedermeier paintings in the world is currently hosted by the Belvedere Palace Museum in Vienna. In Denmark, the Biedermeier period corresponds with the "Danish Golden Age" a time of creative production in Denmark, which encompasses the paintings of Christoffer Wilhelm Eckersberg and his students, including Wilhelm Bendz, Christen Købke, Martinus Rørbye, Constantin Hansen, and Wilhelm Marstrand as well as the neoclassical sculpture inspired by the example set by Bertel Thorvaldsen. The period also saw the development of Danish architecture in the Neoclassical style. Copenhagen, in particular, acquired a new look, with buildings designed by Christian Frederik Hansen and by Michael Gottlieb Bindesbøll. Biedermeier in music is most evident in the numerous publications for in-home music making. Published arrangements of operatic excerpts, German Lieder, and some symphonic works that could be performed at the piano without professional musical training, illustrate the broadened reach of music in this period. Schubert’s music, for example is considered among signal achievements of the period. The Biedermeier period coincides with the Czech National Revival movement in the Czech-speaking lands. The most famous writers of the period were Božena Němcová, Karel Hynek Mácha, František Ladislav Čelakovský, Václav Kliment Klicpera, Josef Kajetán Tyl. Key painters of the Czech Biedermeier were Josef Navrátil, Antonín Machek and Antonín Mánes. Landscapes, still lifes, courtyards, family scenes and portraits were very popular. Václav Tomášek composed lyric piano pieces and songs to the patriotic lyrics of Czech authors. Biedermeier was also reflected in the applied arts - glass and porcelain, fashion, jewellery and, of course, the art of furniture. Even though historically period wasn't very appreciated, except for its music, for example Schubert, in recent times it's gaining increased recognition. Biedermeier still feels contemporary because of its refusal to settle for recycling historical styles, (although it acknowledges its Neo-Classical influence) a principle that was often lost in the deluge of revivals that prevailed, starting with Gothic, after the 1840s. Biedermeier introduced widespread advances to the logistics of daily life. It signaled the invention not only of simplicity and utilitarianism but also the arrival, to some degree, of domesticity as we know it and, in the process, of modern design and modern living. Its influence will be large Biedermeier is a harbinger of many things modern: Vienna Secession and Wiener Werkstätte in particular thanks to its Vienesse roots, but also Arts and Crafts, Art Nouveau, Art Deco, Bauhaus and post-World War II modern design. ^ Christopher John Murray, Encyclopedia of the Romantic Era, 1760-1850, Volume 1 p 89, Taylor & Francis, 2004. ^ "Biedermeier - Elegant, Simple Interior Design". Biedermeier.us. Retrieved 27 June 2013. ^ Schorske, Carl E. (1981). Fin-De-Siecle Vienna: Politics and Culture. Cambridge: Cambridge University Press. p. 283. ISBN 0-521-28516-X. ^ a b "Biedermeier | Belvedere". Belvedere.at. Retrieved 27 June 2013. ^ Henning Sußebach (7 November 2007). "Bionade-Biedermeier". Zeit Online. Retrieved 26 September 2015. ^ Von Thomas Fischermann (31 August 2012). "Gibt es einen German Dream?". Zeit Online. Retrieved 27 September 2015.